Hello friends! 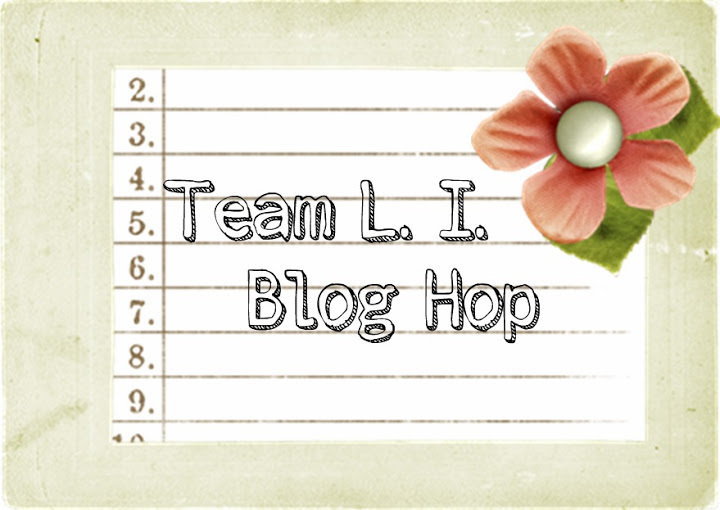 Whether you are a regular visitor or a new visitor to my blog, welcome to the first Linked In Blog Hop! I am so glad you are here. If you are coming from Laura Hedgecock’s website, http://treasurechestofmemories.com/2013/04/14/april-showers, you are in the right place! If you are a daily visitor of mine, then you are in for a special treat! 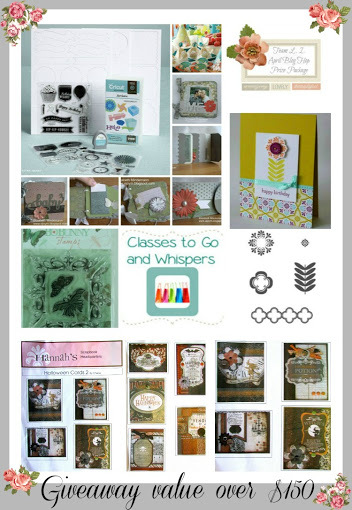 I am part of a group of paper crafters and we are holding a monthly blog hop! Our theme for this month is April Showers. Here is MY creation for this month’s blog hop! For our kick off event we have a great prize package for you valued over $ 150! – Here is a photo of all the prizes! You can win this fabulous prize package!!!! All you have to do is enter! You have until April 30th to enter! The winner will be announced on May 1st here on my blog so come back and see if you won. Winner will have one week to claim their prize or another winner will be chosen. Thanks for stopping by! Now hop on over to Krysthle Poitras’ website http://www.krysthle.com/aprilshowers/ to see what beautiful project she created for you! As for my regular blog followers! Enjoy the hop and come on back tomorrow to see what I have posted for you all! Great card – love what you've done with the stamping and the embossing! I really like the card Patty. My sister-in-law loves making these, so I'll send her your way to have a look. I sent you an email re permalinks too. Let me know if you didn't find it. Umbrellas and polka dots–two of my favorites! Love your card. What a PRECIOUS card, perfect for those times when a friend really needs it. Love it! Lovely card. Love the white border. I especially like the sentiment you chose. Great job! I am following you via GFC. I love your card Patty! Thank you for sharing! very well done, the colors are so fun! Patty this card is DARLING!!! It's so simple but super sweet! Is the Umbrella a stamp? Cute card! I would not have thought of using the parts that way. Love your creativity! I love the embossing folder, clouds. This is a great card. Thank you. Great combination of colors! Love it! Great to meet you. I think you are stop number 6. On to number 7. There has been so much rain here where I live we are dealing with flooding – but the umbrella looks great.